breathing room for my soul: "God-chosen...Splendid Friends"
These last months, I have shared my thoughts and studies about friendship, with God and with others, and His friendship with us. When I happened upon this picture, I wondered how closely we cherish the friendships God gives us. My grandmother made me this "dancing doll". 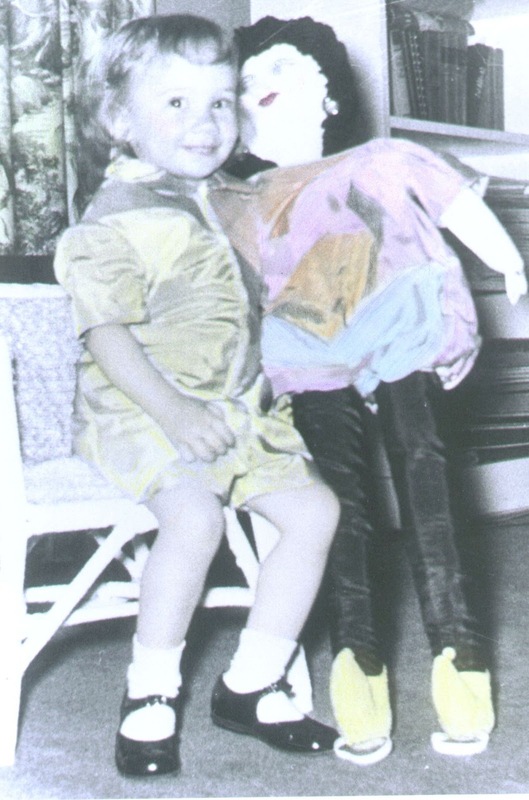 If you look carefully, you can see the elastic straps that attached the dancing doll to my feet. We moved together, no matter how or where, when or why I moved, connected and certain. I love the way The Message describes the people that God gives to us on earth. I want to share something from Macrina Weiderkehr's book A Tree Full of Angels. It is difficult to fathom the potential of each person you meet. This depth and potential are like treasures hidden in a field... When your depth meets the depth of another, what a sacrament that can be... The heart cannot live without intimacy. We all need special people in our lives to whom we can show our souls... How do you feed your friendships? In our relationships, with others and with God, opportunities wait for knowing and being known. Although God knows us completely, He desires us to come to Him. With prayer and mediatation and through reading the Living Word of the Holy Bible, our relationship grows ever deeper with the Lord. The same goes for friendships. Spending time together, sharing thoughts, being there for each other, and praying for one another, the friendships God chooses for us begin to evolve - even when we don't expect friendship. The words "God-chosen" and "splendid" perfectly describe divine friendships in my life, even when I was not looking for such.